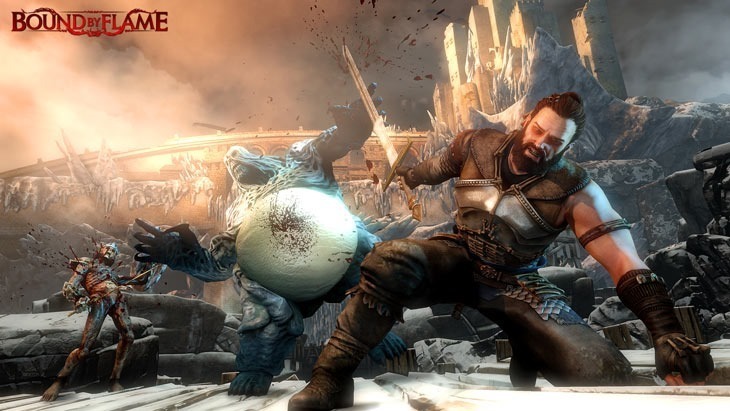 Bound by Flame is one of those games that could go either way. As a sprawling B-tier RPG with the scope – but without the budget – of AAA titles it’ll likely lack the polish you expect from full-priced retail games. It could, however, make up for that with heart. It’s out on Friday for PC, PlayStation 4, PlayStation 3 and Xbox 360. It’s pretty damned ambitious stuff from Spiders – though this sort of thing is certainly in their wheelhouse. Spiders was formed by veterans responsible for the Silverfall games. Their last game, cyberpunk action RPG Mars: War Logs showed promise..but ultimately had too many shortcomings to make it stand out. Let’s hope that’s not the case with Bound by Flame. It’s a budget title, retailing on Steam for $39.99. the console versions, however, seem to cost full retail price. It’s £42 on Amazon.co.uk, which equates to an eye-watering R741.40, though UK’s GAME has it for a much more palatable 35 squid. Locally, you can pre-order it for R669 on PS4 or R535 for the last-gen versions.